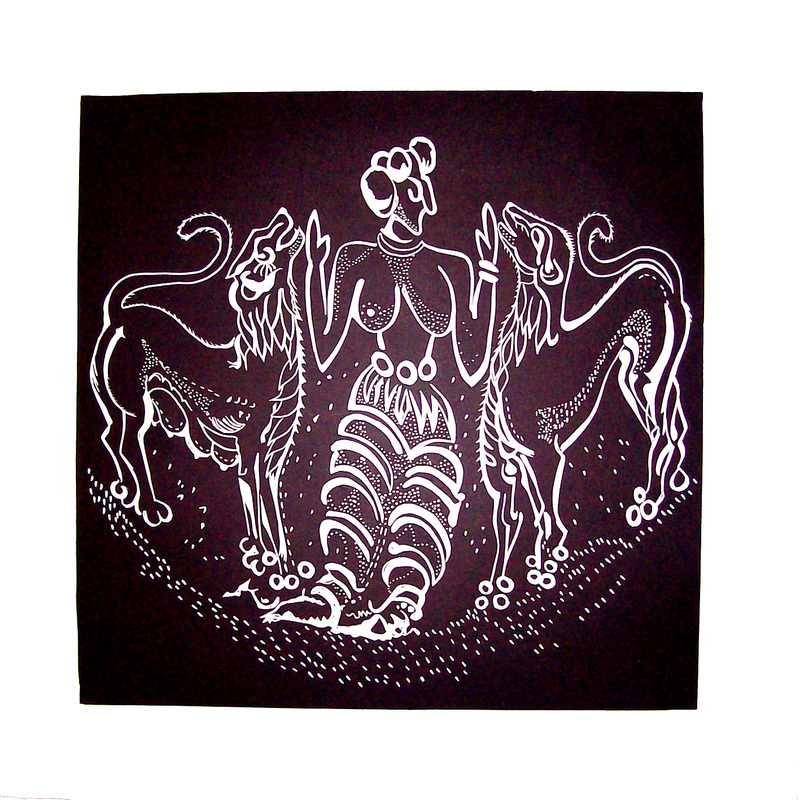 This is one of the identities of the supreme being of religious life on the island of Crete, the Minoan Mother Goddess. Her name dependent on the origins and era of the reporter was variously, Britomartis (Sweet Virgin) or Potnia Theron. It is not certain if the different representations of goddesses depict two or three goddesses or only one with different aspects. Scholars believe that these identities found their way into the Greek Pantheon as Hera, Artemis and other goddesses. This image was derived from a carving in stone on a Minoan Temple dating from about 2000BCE. The distance of time, geography and culture may have wrought a change of name, gender and relationship to animals depicted, but the commonalities of stories and schema between this and Norse and Saxon depictions of the creator suggest fundamental similarities of mythologies and beliefs.